The interior details of the Washoe Theater in Anaconda, Montana are beautiful to behold. You won't see lush artwork and finely crafted details like this in today's antiseptic cineplexes. 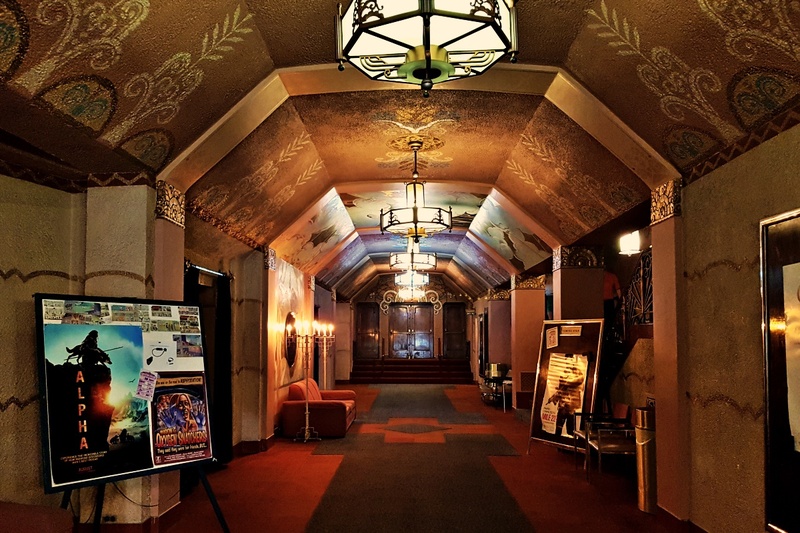 The interior design and furnishings were done by Hollywood theater designer Nat Smythe. The exterior doors are etched glass. Each joint and trim work is carved in complicated relief patterns with much use of ornamental ironwork. Use of copper is especially prevalent, as Anaconda was a company town for the Anaconda Copper Mining Company. Silver and gold leaf supplement the accent work. Carved rams heads line the walls. 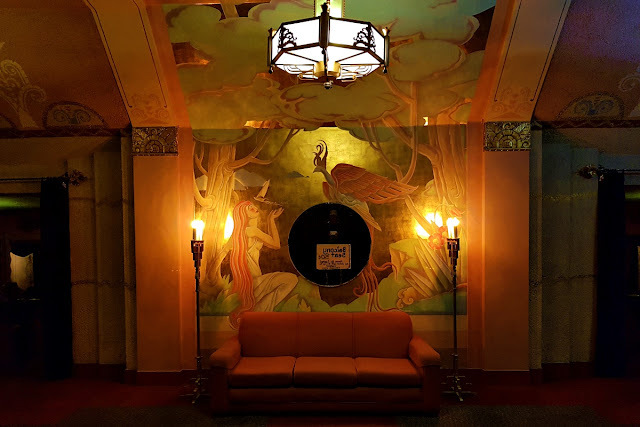 Every flat surface, including the domed ceiling, is a painted mural done by Colville Smythe. The silk curtain is a piece of art in itself, though seldom seen. Its age presents a problem for curators who are afraid that taking it down, even to try and restore it, would cause it to fall apart. It has a painting of deer stags.